“They have a pizza that will change your life,” said my friend as we walked down the snow-covered sidewalks of downtown Ann Arbor. 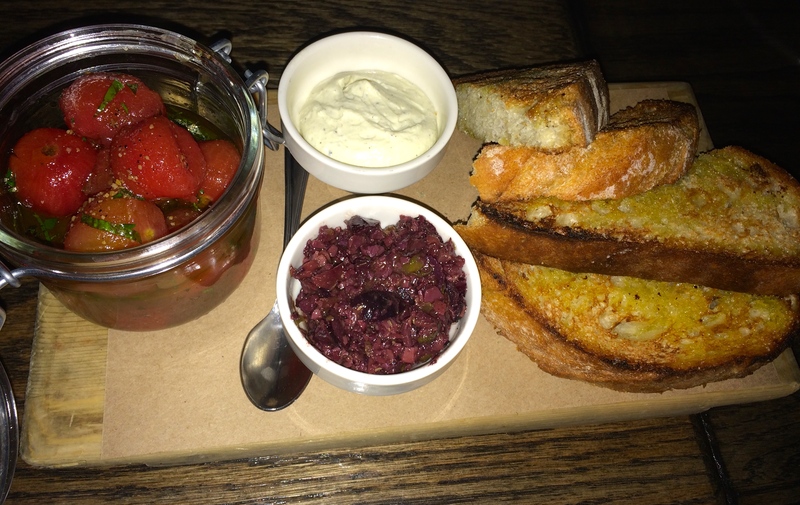 I was already eager to try Mani Osteria & Bar, an Italian hot spot in Ann Arbor, but those words completely sold me. I was more than ready for some life changing pizza, and curious to check out the rest of the menu. With a 45-minute wait ahead of us, we ordered a round of house-made cocktails. I tried the Campari Mojito, which I can confidently say is the best mojito I’ve had during my twenty-six years of life. The thyme-peppercorn syrup and fresh mint combination was absolute perfection, and it was not too sweet. 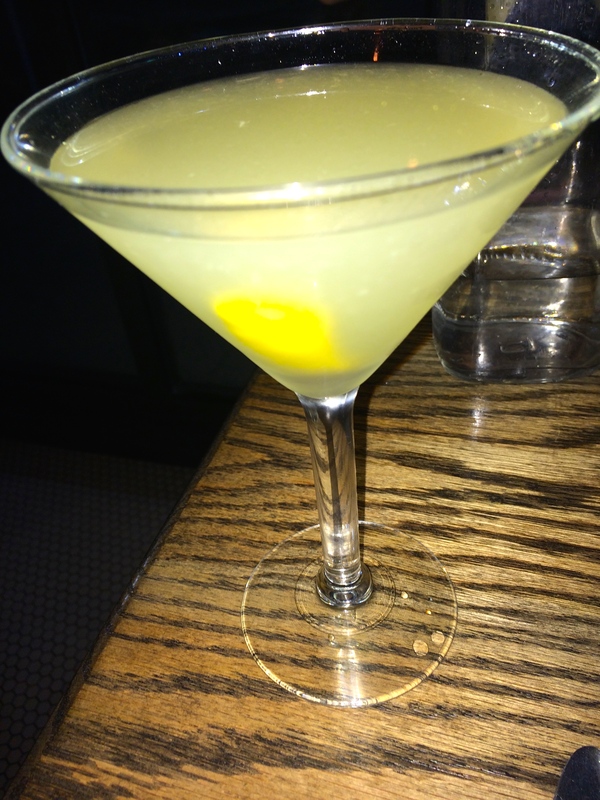 But, if you’re looking for something with more of a citrusy punch and more liquor, try The Bicycle Thief. Once we were seated, we had already decided on sharing the life changing pizza, which is known on their menu as the Burrata & Balsamic pizza. 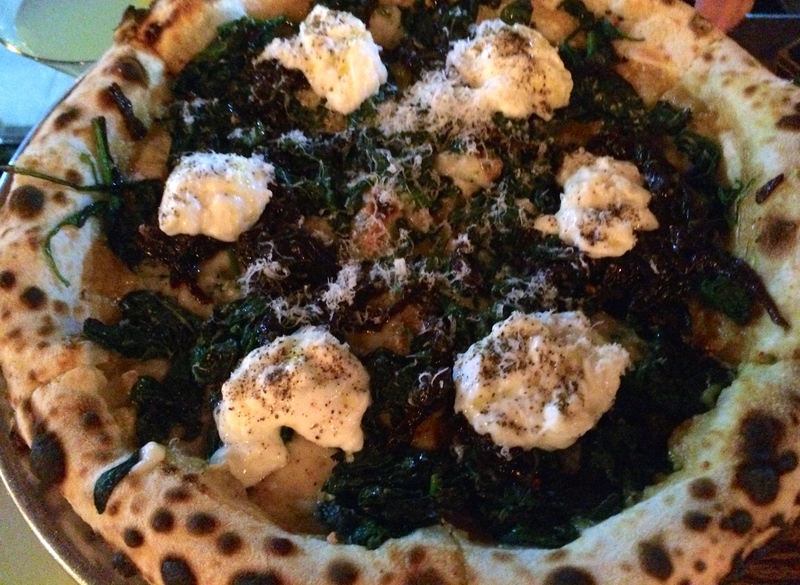 The garlic spinach and balsamic onions mixed with the creamy burrata was on point. The outer crust was thick and bubbly, while the base was thin and crisp. Wood-fire ovens are amazing. 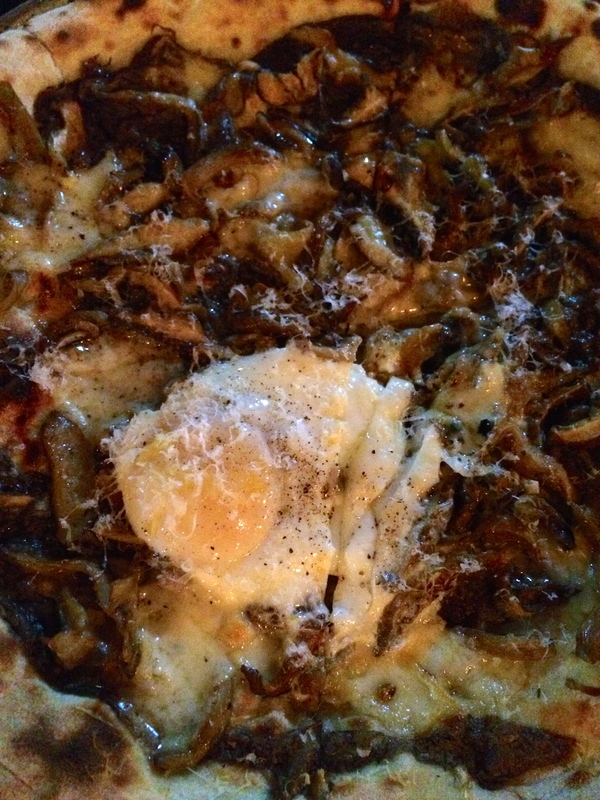 We also ordered the Tartufo pizza, which was was a heavenly combination of black truffles, fontina, and an over-easy egg. We devoured our pizzas, along with appetizers of pickled tomatoes, sautéed brussel sprouts, and arugula salad with lots of cheese, crispy shallots, and mushrooms. I could tell that the Mani staff put a great deal of thought into this menu, because I have never been to an Italian restaurant quite like this. They have all of your Italian requirements – bread, pizza, pasta, meatballs, soup, etc., but with high-quality ingredients and unique flavor combinations. While menu items start at around $10 and above, the food is crafted so beautifully, that it is worth every penny. I’d recommend splitting a pizza or two like my group and I did. Sometimes, it’s just worth it, especially during those moments where you’re experiencing a dish that’s incredible enough that Instagramming a picture doesn’t even do it justice. Take it from me. Hours: Mon. – Th. 11:30 a.m. – 10:00 p.m., Fri. 11:30 a.m. – 11:00 p.m., Sat. 12:00 p.m. – 11:00 p.m., Sun. 10:00 a.m. – 2:00 p.m., 4:00 p.m. – 9:00 p.m. I love this blog because you know about restaurants I would never discover. It’s on the list! Thanks! 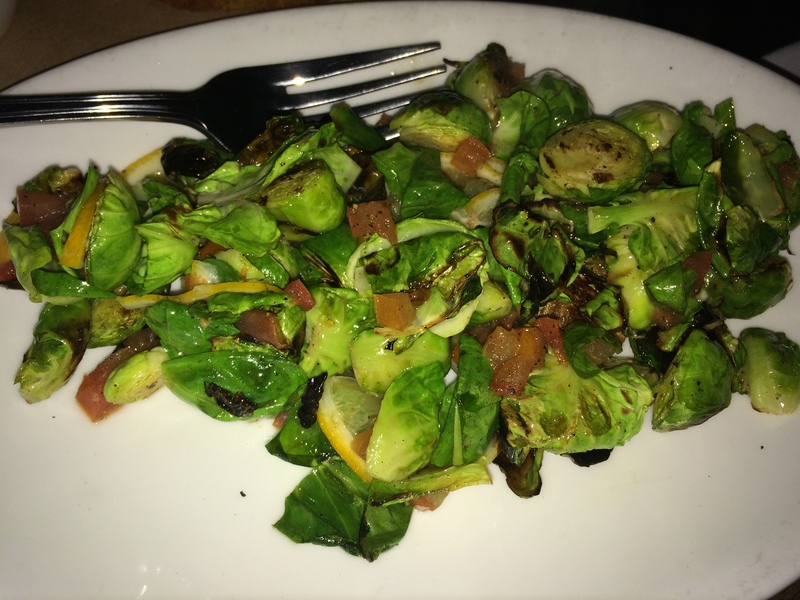 My goal is to feature some of the best restaurants out there for my readers! Let me know what you think.